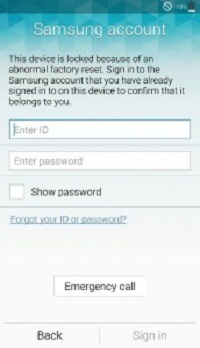 Home / Unlock Samsung Account / Unlock Samsung FRP /Google Account Via Remote Server. This service is remote server based also which success rate is 100%. Please read full details of service in our product details. Why Unlock Samsung FRP factory reset protection from us? We Offer To Unlock Samsung FRP (Factory Reset Protection) /Unlock Google Account Via Remote Server.If by mistake you don’t remember your password or even user-name information after reset you mobile phone and you have FRP (Factory Reset Protected) previously. Are you feeling worry about the solution? You don’t need to worry more we are here to assist you all through the way. We offer a service to unlock Samsung FRP factory reset protection unlock that will remove the FRP lock on your Samsung phone of every model. After the service the phone will start working as new one and even it will not leave its foot print that there was ever a lock. 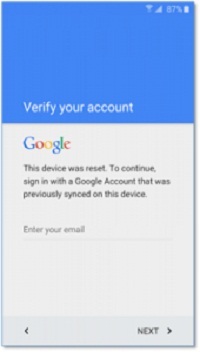 And the previous Google account is undying removed along with the FRP lock. Please take into account that FRP enables itself after a Google account is added to the phone. So take care to memorize your password! Why people come to us? We pride ourselves for superior services at reasonable prices. We truly know what we are doing. It may sound mad but number of people offer these services hardly they know what are doing or what they need to do. The method that we opt is 100% safe and sound. We also offer affordable price. More easy step also to unlock. 17 reviews for Unlock Samsung FRP /Google Account Via Remote Server. Wow, you would not expect it, but this actually works perfect, friendly people and in 10 minutes your phone will be all yours again, nothing but good words for this company! It’s too good..You can’t imagine how good it is!!! !… It has made my phone unlocked within 13 minutes!!!! … feeling happy 😁😁😁. seriously I can’t believe it.. it unblocked my phone within 10 minutes..!!!!!!!! this is the best service i have ever had…. if it was a 10 star i would agree. Wow their service is good..
My phone got unlocked but the process lengthy. I wish they would have told me I had to install 3 apps, needed a computer and phone cable. They are only available during certain times and GMT+2, which are my sleeping hours. Sir Sunday was holiday. Thats why late and pc and usb cable need we tell it in our site minimum 10 times. Thanks feedback and we are improving service also and now more faster. Unbelievable service, Unlocked my phone in 3 min. I recommend this service. Thanks this tech guy. Thank you so much.ppl it works and for the phone I have WELL WORTH IT.!!!!! thank you so much it helped so much and it really does work!!!! and really worth your money! Fast and reliable service. Really friendly, and unlock in under 10 min.